Check us out on Facebook & Twitter ! 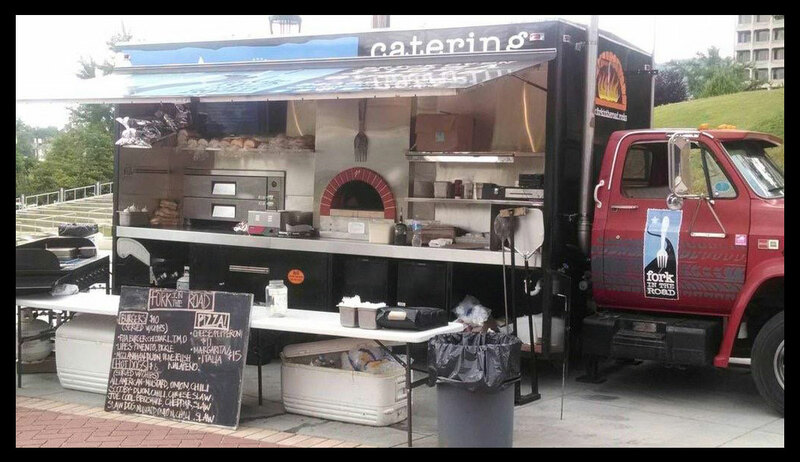 Fork in the Road is a one-of-a-kind food truck created to compliment the popular Fork in the Alley and Fork in the Market restaurants in Roanoke, Virginia. 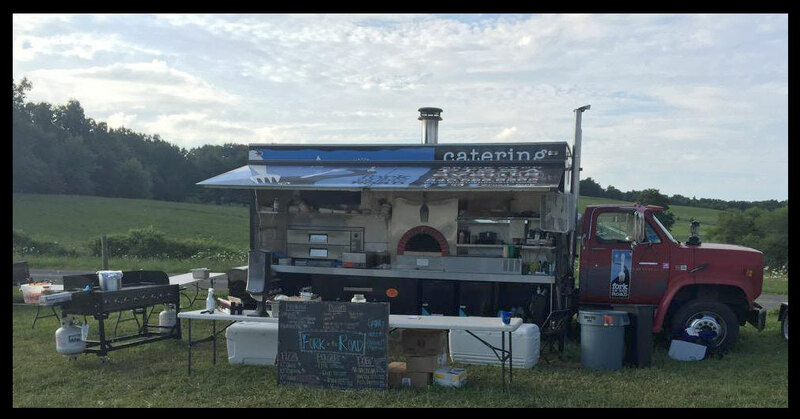 Complete with a wood-fired brick pizza oven, Fork in the Road is unlike any food truck you have ever seen! Want us to roll into your private event? We’re there! We’ll even adjust our menu to your personal needs. Be sure to look for us at your favorite festivals in southwest Virginia! * We’ve got you covered! Side openings raise up to serve as an awning. * Need an additional pop up tent? – Ask us! * We’re hot! Large wood-fired brick oven for our signature pizzas. * Hot doggin’! Flaming grill to make our signature Fork Dogs. * We’re cool! Truck is complete with a fridge & freezer for those hot summer festival days. * Feel like dancin’? We can add special lights and a sound system if requested. * See your selfies! Our TV monitor can be hooked up to your own personal slide show. * Fork in the Road can operate on a generator or plug in to an electrical source. * Sewage is disposed of off-site unless otherwise permitted. * The Fork Truck is about 16 feet wide and 20 feet long when in operation.